Edge of Reality today announced that Loadout, the fast-paced free-to-play shooter with billions of weapon combinations, will bring every last one of those weapons to the PlayStation®4 computer entertainment system in a forthcoming release on the PlayStation®Store. 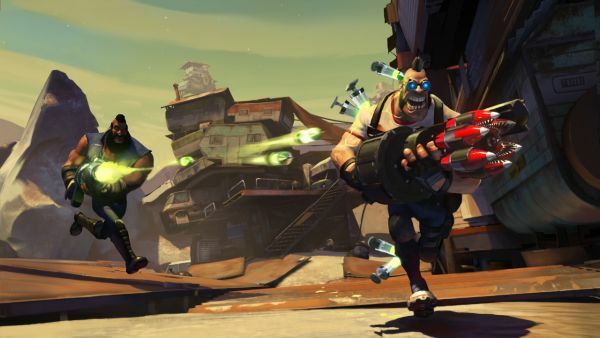 Loadout’s comic violence, frenetic multi-player gameplay, and amazingly deep customization have officially been enjoyed by 3 million PC gamers since launching in January on Steam. The game will be available as a free-to-play downloadable title on the PlayStation®Store, where it will find its way into console gamers’ hearts, and out their backs in glorious exit wounds. Also released by Edge of Reality is Loadout Update 4.0. Now players have the option to pummel your best-friend’s-neighbor in a Loadout private match! Private matches can be played with anywhere from two to eight players to create the “throwdown of the century”. Don’t have any friends? No worries, the bots are more than happy to snipe you across the map! This also provides ample opportunity for the “competitive” folks in these here parts to duke it out in your own environment. Also in the update is the new map, Comm Tower. This vertical map is effectively spaced to give you the best of full-throttle close-quarters action while still providing those pivotal sniping lanes for the marksmen at heart. But that’s not all, we added updates to the matchmaking algorithm, new character parts, multiple bug fixes and map rebalancing.